This book is a modern guide to sea kayaking by one of the leading exponents of the sport who is also a highly respected coach in this field. Gordon Brown is a BCU Level 5 sea coach based on the Isle of Skye, Scotland. He shares his knowledge with you in his own succinct humorous style and very visual approach. In this book Gordon covers topics of kayaking history, physiology, boat and paddle dynamics, seamanship and navigation, safety and rescue, weather forecasting, caves, rockhopping and tidal races, expeditions and overnighting, as well as a wealth of tips and resources for the sea paddler. This is a visually stunning book printed on 170gsm silk paper filled with top quality photographs. 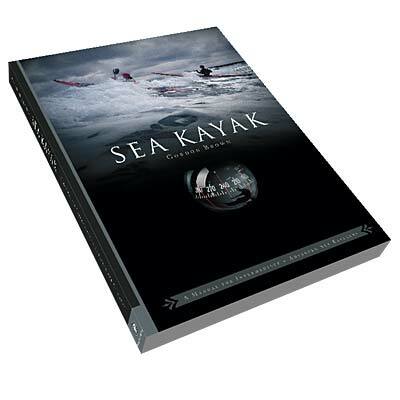 Over seventy photographs and illustrations help to make this an essential modern manual for the sea kayaker. Gordon is quick to admit that he has the best job in the world, kayaking almost every day from his home on the Isle of Skye. His first career was as a car mechanic, working in his father’s garage in Ayrshire, although his first love was always kayaking. In this, his first book, Gordon draws upon thirty years of sea kayaking and coaching experience, from early days exploring Scotland’s west coast in a home-built wood and canvas kayak, to paddling in Greenland, New Zealand, Tasmania, Sri Lanka, Norway, Iceland, Canada and the USA. He spent three months coaching on the rivers of Nepal and has kayaked throughout the United Kingdom, including all the outlying islands. This wealth of knowledge, supplemented by forays into whitewater and surf coaching, has been distilled into the pages of this book. Gordon owns and runs Skyak Adventures with his wife Morag. As well as introducing novices to the sport in one of the most beautiful yet challenging parts of the world, Gordon trains and assesses to the highest level within the British Canoe Union. He is helping to develop a new awards scheme for the BCU and remains Scotland’s only American Canoe Association advanced open water instructor. It is surely difficult to disagree with Gordon’s own assessment. He probably does have the best job in the world!